The Therapeutic Weekend Program is designed to provide a safe, sober, and therapeutic environment that helps clients progress toward their treatment plan goals. This Program allows San Tan clinical staff members to work intensely with a client on specific therapeutic goals. Clients are also able to develop strong, healthy relationships with their peers as they participate together in group outings and life skills training. Staff is able to build a strong therapeutic relationship with clients as they stay in the home with the client, modeling appropriate life skills throughout the weekend. This Program is a collection of therapeutic services designed to address concentrated behavioral health issues such as grief and loss, anger management, self-esteem, specific family issues etc. 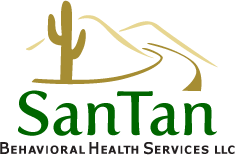 The entire weekend is run by San Tan behavioral health technicians or therapists who are familiar with the clients and their families. Staff also takes clients on “outings with a purpose” throughout the weekend to engage them in the community and provide an opportunity to work on life and social skills. A small staff to client ratio is always maintained, typically 1 staff to 4 clients. Weekends are conducted in a San Tan Behavioral home. While this Program does provide a period of rest and relief for families, the overarching purpose of the program is to impart new coping/living skills to the client, and to then provide feedback to the family who can support the client in their progress. The program is therapeutic, and therefore respite services are not a part of the Program.